“This wicked act of mass murder is pure evil,” President Donald Trump stated at a Future Farmers of America event in Indianapolis on Saturday. He should have stopped but unfortunately went on to claim that it is "hard to believe and, frankly, something that is unimaginable." Inadvertently indicting himself, Trump had told reporters a few hours earlier "it's a terrible, terrible thing what's going on with hate in our country, frankly, and all over the world." Every country in the world has bigoted extremists and people with serious mental health issues that may drive them to violence. 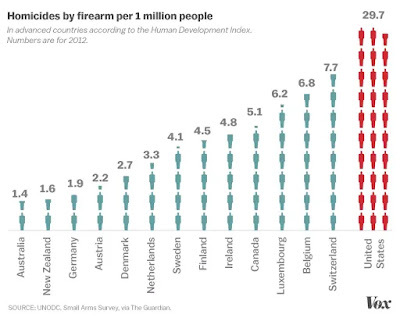 But in America, it is uniquely easy for one of these people to obtain a gun and carry out horrific tragedies like the mass shooting at a synagogue in Pittsburgh on Saturday. 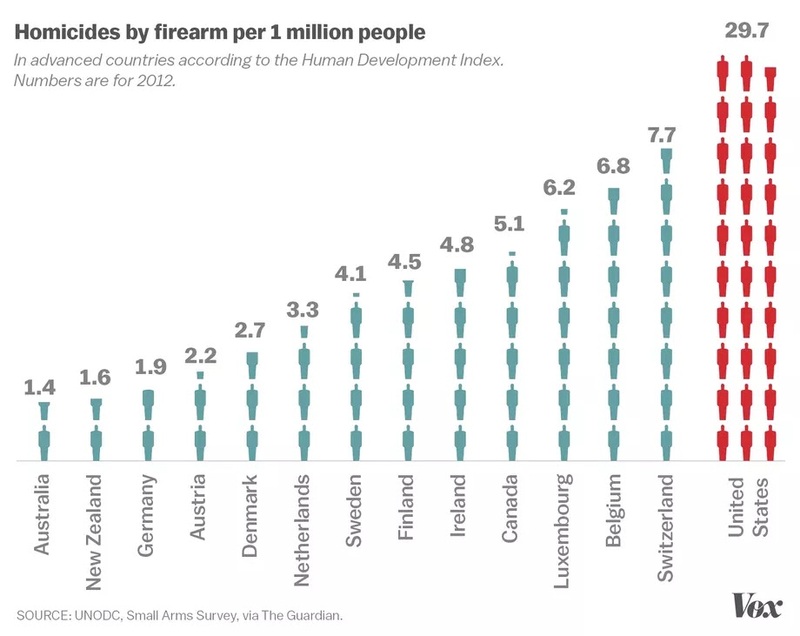 A 2016 review of 130 studies in 10 countries, published in Epidemiologic Reviews, found that new legal restrictions on owning and purchasing guns tended to be followed by a drop in gun violence — a strong indicator that restricting access to guns can save lives. A review of the US evidence by RAND also linked some gun control measures, including background checks, to reduced injuries and deaths. Even before Donald J. Trump was elected President, mass murder at a synagogue was not unimaginable. Now it far more imaginable, and just another calamity he can happily exploit. It's time to put an end to this. The new rule is simple: When you attack Trump, he will hit back harder than you could have imagined. "He learned this in the New York media when he was a businessman," Newt Gingrich said in a speech in December. Donald Trump is no counter-puncher. He is a puncher, whether counter-punching or seizing the initiative. A counter-puncher retaliates. A counter-puncher hits those who seem to hold the upper hand or at least could stand toe-to-toe with the adversary unless beaten down. A counter-puncher is even likely to hit someone because the adversary deserves it, even when there is no concrete advantage to the counter-puncher. A counter-puncher might have appeared at his own campaign rally a few hours after the arrest of Cesar Sayoc for sending explosives to Hillary Clinton and other perceived opponents of the regime. But he would not have "resurrected some of his favorite political insults" including "Crooked Hillary" and "Cryin' Chuck Schumer." A true counter-puncher will not want to hit Representative Maxine Waters- another Sayoc victim- and then back off because he "seemed aware that his conduct was under scrutiny, emphasizing that was going to be 'nice' in his remarks." A counter-puncher may have slammed her anyway, notwithstanding the possible repercussions, because he sensed that she had hit him. Moreover, he most assuredly would not have blamed a church or a synagogue for a grotesquely criminal attack which left twelve innocent people dead. Because Donald Trump is a coward- and a coward will punch and punch, in retaliation or not, until someone punches him back. Unfortunately, only one individual has, and that is not enough to tear the mask off this brawler. "incompetent," "arrogant," "strong," "idiot," "egotistical," "ignorant," "great," "racist" "a------" and "narcissistic." Respectively: somewhat, yes, no, no, yes, yes, no, probably, yes, and yes. The one "no" I attributed to a positive characteristic was "idiot" because President Trump is no idiot. President Trump was at his dumbest when he admitted to NBC News' Lester Holt that he fired James Comey as FBI director because of "this Russia thing." At worst (for him), the act may have set in motion events that will bring down his presidency and/or lead to his indictment. At best, however, Trump may skate on the whole thing, even on any charge that he obstructed justice by eliminating Comey. But look at what- or who- he ended up with. When the President announced his nomination of Christopher Wray to replace Comey, he stated that Wray "will again serve his country as a fierce guardian of the law and model of integrity..."
Given that Donald Trump sees himself as synonymous with the country, this seems to have come to pass. On Friday morning prior to the arrest of apparent Trump Bomber Cesar Sayoc Jr., the President tweeted "Republicans are doing so well in early voting, and at the polls, and now this “Bomb” stuff happens and the momentum greatly slows - news not talking politics. Very unfortunate, what is going on. Republicans, go out and vote!" "When did you first brief the President that you had a suspect in custody and what was his reaction?" "I'm not going to get into our discussions with the President. I will say I received a very nice congratulatory call from the President shortly before heading over here and saw the remarks he made at the White House...."
... it’s deeply concerning that the president may have been actively stoking suspicions about the reality of the attacks even as the United States’ own law enforcement agencies were in direct pursuit of a serious suspect in the matter. If he was fully aware of the FBI’s progress in this case and the seriousness of the matter, then it is condemnable behavior. It would mean he has a lack of genuine concern for the safety and security of those who he deems political enemies and is willing to disregard violence as long as it can serve his political aims. Either Donald Trump knew about the situation or the FBI director avoided telling him, which would be extraordinary- or it withheld from the President of the United States of America significant intelligence, itself remarkable behavior. Democrats were to some degree in the dark about the inquiry’s parameters. In a letter to Donald F. McGahn II, the White House counsel, and Christopher A. Wray, the F.B.I. director, the top Democrat on the Judiciary Committee asked for a copy of the directive sent by the White House to the bureau laying out the scope of the investigation. “If the F.B.I. requests any expansion beyond the initial directive, please provide the names of any additional witnesses or evidence,” the Democrat, Senator Dianne Feinstein of California, wrote in the letter. The White House did not need to tell Christopher Wray whom he could not interview. He knew to restrict the probe because he knew his place. "The rules for background checks," the Times added, "require that agents ask the White House if they want to expand the scope of their investigation or interview other witnesses." The agents themselves undoubtedly would have had to get approval from the Director of the FBI, and they're well aware of who nominates the director and who can fire him. The FBI interviewed stunningly few individuals and its feeble inquiry was designed to avoid uncovering any facts which would jeopardize Senate approval of Judge Kavanaugh. 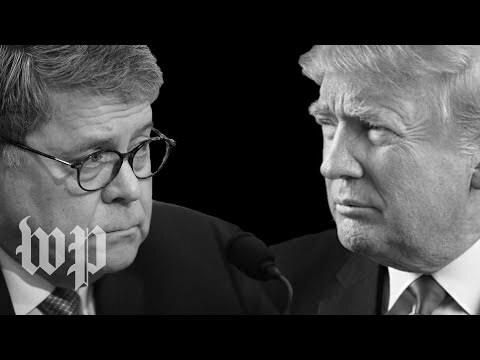 It was a farce and worse, undertaken in the manner that White House Counsel Don McGahn, arguably the pivotal player in the nomination, was intent upon. Kavanaugh was McGahn's boy, and the White House counsel was determined he would be approved, facts be damned. "I am proud to announce Christopher as my choice as the Director of the FBI," President Trump noted in his statement a year ago June. Donald Trump knows a partisan hack when he sees one. He may be ignorant, arrogant, racist, egotistical, and narcissistic. But an idiot, he's not. By continually staking claim to big and small terrorist attacks, regardless of target selection or casualty count, ISIS has attempted to instill a sense of omnipresent and unpredictable danger. And in the process, terrorism fatigue may be setting in around the world. The quest to organize and inspire a steady stream of attacks in the West comes with a cost. It can make the outrageous seem relatively normal. People become numb to the violence. As the once-shocking violence becomes normalized, they are no longer able to muster the requisite outrage or compassion to respond. One year later, as the nation yawns to another round of terrorist attacks (twelve bombs- and counting) sent to perceived opponents of President Trump), their observation appears particularly prescient.Seven months later, we learned of a possible parallel to this reaction to terrorism. Tali Sharrot and Neil Garrett noted research which (as they put it) found "people are less likely to criticize the unethical actions of others when such behavior increases gradually over time." They thus speculated "that voters (and perhaps even the president's own advisors) may desensitize to the president's falsehoods in the same way that they do to overused perfume, making them less likely to act to correct this pattern of behavior." The desenstization or fatigue, however, is only part of the reason that Americans no longer are mustering appropriate outrage at terrorist acts. The other is failure to use the word terrorism. This is not always the case, of course; if the culprit's name is Omar, Khalil, or Muhammad, terrorism becomes an issue. The act may be considered terrorism or discounted as terrorism. However, it invariably- as it should be- is evaluated in the context of the possibility of being a terrorist act. In their Friday morning, 10/26/18 on-line articles about the 11th and 12th bomb packages being delivered, The New York Times and The Washington Post invoke the term "terrorism" or "terrorist" only once- in unavoidably quoting James Clapper, one of the victims. In its article, USA Today uses neither term at all. The Oxford Living Dictionary defines "terrorism as "the unlawful use of violence and intimidation, especially against civilians, in the pursuit of political aims." Surely the intended targets of the packages were civilians because they are not enemy combatants, in a war or otherwise. Although none of the bombs has exploded, they still represent an unlawful use of violence and intimidation in the pursuit of political aims. There should not have to be a Muslim and/or Arab, or someone suspected of being Muslim and/or Arab, for a terrorist act to be attributed to possible terrorism. Because it is, unjustifiably, required, virtually all terrorism seems to be coming from The Other. That not only desensitizes us to the threat of terrorism, but is a massive political gift to the hatemongers such as Donald Trump and the voters the President preys upon. said he would propose a tax cut for middle-class Americans next week “of about 10 percent” and that Congress would vote on it soon, but he offered few details and lawmakers did not appear to have any plans to act on his announcement. “We’ll do the vote after the election,” Trump said, again suggesting a cut after floating the idea on Saturday. Aside from saying the tax cut would be about 10 percent, the president offered no details. It may not pass and if it does, will benefit the wealthy and/or corporations more than the middle class, thereby rendering it advisable to offer no details. However, Trump knew to signal to conservative and moderate, Republican and independent, voters that he wants to cut their taxes, if only those evil Democrats will let him. Bipartisan "cred" is all the rage in politics now. The Twitter page of a US Representative from suburban eastern Pennsylvania blares "Brian Fitzpatrick- Ranked #1 Independent Freshman Congressman" with an obvious intent to hide his partisan (Republican) affiliation. Not only bipartisanship, but self-awareness: Have you ever seen this? We're behaving very well! After a terrorist attack on a cable news organization, the candidate who knew he could shoot someone on Fifth Avenue and not lose anyvotes is the President who knows he can demonize the media, lose no votes he hadn't lost a long time ago, and drive his horde of haters to the polls. That is a fellow with a whole lot of comprehension. As a tease to his recent article in The Atlantic, David Frum on Tuesday tweeted "If liberals insist that enforcing borders is a job only fascists will do, then voters will hire fascists to do the job liberals won't." In a conversation Monday about the migrant caravan heading to the United States from Central America, The View’s Meghan McCain accused co-host Sunny Hostin of calling her a liar, after claiming that “the left” wants ‘open borders and no consequences’ for undocumented immigrants. in the Democrats’ liberal base, the mood toward the caravan is positively sympathetic. The caravan’s slogan, “People without borders,” chimes with the rising sentiment among liberals that border-enforcement is inherently illegitimate, and usually racist, too. The theory behind the caravans—this latest, and its smaller predecessors over the past 15 years—is that Central Americans have valid asylum claims in the United States because of the pervasive underemployment and gang-violence problems in their countries. If that claim is true, that is a claim shared not only among the thousands in the current caravan, but the millions back home. A 2013 Pew survey found that 58 percent of Salvadorans would move to the United States if they could. The seven countries of Central America together have a population of some 45 million, or about the same as Mexico’s back in 1970, when the mass migration from that nation began. The strong US job market is again attracting low-wage workers. After a dip in 2017, illegal crossings of the southern border in 2018 have returned to their levels of 2016—and are running well ahead of 2015. If the thousands of people in the caravan successfully cross the border, lodge asylum claims, and are released into the U.S. interior pending adjudication, many more seem likely to follow. Why wouldn’t they? More than 60 percent of the population of Honduras lives in poverty, according to the World Bank, and very nearly 60 percent do so in Guatemala. While rates of crime and violence have declined in both countries since 2014, they remain appalling by world standards. For Trump, the caravan represents a political opportunity. Here is exactly the kind of issue that excites more conservative Americans—and empowers him as their blustery, angry champion. For Trump’s opponents, the caravan represents a trap. Has Trump’s radical nativism so counter-radicalized them that they have internalized the caravan message against any border enforcement at all? If yes, they will not help immigrants. They will only marginalize themselves—and American politics will follow the European path in which anti-immigration parties of the extreme right cannibalize the political center. Pointing out that immigrants have a lower crime rate than native-born Americans, work hard, are not terrorists, are in Mexico rather than knocking on the door in Brownsville, Texas, or often speak English (which, revealingly, goes unmentioned) will not erase those images. Nor will references to a "nation of immigrants," the promise of the Statue of Liberty nor to Jesus welcoming strangers and refugees, the poor and the persecuted. Democrats promptly should turn the issue around, arguing that deportations have declined since Donald Trump became President, people are still overstaying their visas, illegal immigrants are staying in the country longer, and caravans will become the norm with this guy's policies. In the short term, the least Democrats could do is to emphasize that Trump's policies are a failure in protecting the interests of Americans. In the long term, they need a simple and coherent, yet sensible, message. Otherwise, as David Frum realizes, Republicans in the Trump era are going to present Americans with an either-or choice: vote for those of us who will defend Americans, or for the ones who will defend the other. And the demagogues do not intend to lose. Van Jones always had it in him. He "resigned" as "green jobs czar" by President Obama, who was unwilling to take the heat from Republicans criticizing Jones. Because it is the only sensible approach toward someone who won't defend you against his political enemies, Jones then became a huge supporter of, and surrogate for, Obama. So he was in character when he interviewed in Ohio five members of a rural white family, three of whom voted twice for Obama but switched to Trump, one not old enough to vote until 2012 who switched from the Democrat to the Republican, and one who voted for Obama but passed on both Trump and Clinton. He was surprised to learn that they did not fit the stereotype of Trump supporters as being racist- they even denied it! He brought them to the studio and gushed "you know, that was a life-changing thing for me and I just learned so much from it. It was a total stereotype shatterer" (sic). Really. Liberal CNN commentator Van Jones says he has no regrets over his praise for President Trump’s first address to Congress which landed him in hot water with the left. Mr. Jones, a former President Obama adviser who now hosts “The Messy Truth” on CNN, sparked liberals’ ire last week after he said Mr. Trump’s honoring of a slain Navy SEAL during his Feb. 28 speech was “one of the most extraordinary moments” in American politics. “No, I don’t regret it, because it was honestly how I felt in that moment. My dad’s in the military and that moment where everybody in Congress stood up and applauded that widow, that really moved me,” he said. “And it moved a lot of people. I said, if he keeps doing stuff like this, he’s going to be there for eight years. “I want to start — how did you get this job?” he asked Kushner, who was seated rigidly in an oversize armchair. “I mean, you have, like, the dopest job in the world — the secretary of everything. Does it bug you when they call it secretary of everything?" “Yes,” Kushner responded, with a small smile. It could be because Jared Kushner is husband to Donald Trump's favorite person beside himself. Or it could be the cushy relationship between the Trump Organization and the Kushner Companies, or because Jared knows where some of the bodies are buried. Jones was appropriately mocked online and responded in part "I really wanted to make sure that he was able to explain himself without having to defend himself on everything, because when you get somebody like that talking, sometimes, just let them talk." Kushner should be allowed to talk, but then challenged if what he says is inaccurate or even at all controversial. And he would have been, had his interviewer done a better job impersonating a journalist. Eleven hours later, Paul Krugman responded "If Democrats don't at least take the House, God help us. But even if they do, we'll be facing a nightmarish political scene. Republicans will claim that the election was stolen, and deny the majority's legitimacy." Journalist Carl Bernstein said Sunday that President Trump has discussed ways to challenge the results of the midterm elections if the GOP's grasp on power slips. During an appearance on CNN, Bernstein said his sources relayed this information to him on Friday, warning that Trump has talked about a disruption campaign if the results are close but have the Democrats taking control of the House or Senate. "I talked to people ... in touch with the White House on Friday who believe that, if the congressional midterms are very close and the Democrats were to win by five or seven seats, that Trump is already talking about how to throw legal challenges into the courts, sow confusion, declare a victory actually, and say that the election's been illegitimate," Bernstein said after being asked if Trump's challenge to fraudulent voters was a form of voter suppression. "That is really under discussion in the White House," he added. Really, this is the least President Trump can do to support his party's state-by-state efforts to suppress the vote of individuals likely to pull the Democratic lever(s) though, as Krugman recognizes, it will go beyond mere claims of fraud. In Ohio, voters are disenfranchised if after not voting in two consecutive elections, they fail to return a notice warning them they will be purged from the rolls. In Florida, Governor Rick Scott has virtually eliminated the right to vote of felons who have served their sentence. Mindful that many residents of Native American Indian tribe reservations have only a P.O. box, North Dakota has implemented a law requiring voters to present identification with a current street address. Georgia Secretary of State and gubernatorial candidate Brian Kemp has purged voter rolls of nearly three-quarters of a million people, and absentee ballots are being rejected on the flimsiest of grounds, including a trivial difference between the voter registration form and government documents- or the signature on the absentee ballot. Dodge City, Kansas, most of whose residents are Latino, has moved its one polling site outside of town, more than a mile from the nearest bus stop. In an obscene display of bothsiderism, the mainstream media dutifully reported GOP claims of "mob rule" when Eric Holder said "when they go low, we kick them." But he was speaking especially of voter suppression and gerrymandering, both reducing the impact of minority voters. Donald Trump has now told us what he and his minions have in mind if the GOP doesn't retain control of both chambers. Democrats need to be ready, kick back, and not aim for the shin. Nothing SNL does is going to break through the counter-media of Fox News, where the prevailing entertainment culture is considered prejudiced and exclusionary, and so, dismissible. The laughs are impossible to hear over the ongoing dissonance. Point well-taken, though there are two additional reasons:despite a credible job by Damon, the skit wasn't particularly funny, and Senator Collins had her mind made up at the jump. Implicit in Carter's analysis is an assumption that the Saturday Night classic is scrupulously left-wing, and hence pro-Democratic. Killam was included on an episode of the “I Was There Too” podcast released Tuesday to discuss what it was like on the “SNL” set before the 2016 presidential election. The comedian, who played Trump on the show before his departure in August of 2016, said that Michaels was “so specific” about what the NBC cast could say about Trump. Trump was brought in as a guest host for the show in 2015, before the Republican primaries. “I don't necessarily put so much weight into [the idea of] Trump hosting ‘SNL’ helping him become president, but there's definitely something where it normalizes him and it makes it OK for him to be part of the conversation,” Killam told NPR in the interview. Saturday Night Live’ will certainly matter from now until the election a great deal. That turned out to be quite prescient because Lorne Michaels was the only one who could control Saturday Night Live. He did, and with his assistance we got President Donald J. Trump. the Trump advance team only puts real supporters behind him so now is the time to name them. The people who let out their inner misogyny, bigotry, racism and sexism when supporting Trump's comments need to be named now when Trump appears to be winning. Because soon Trump and the views he expresses will experience a huge setback. The excuse "we won, so it doesn't matter" will no longer provide an excuse. He also wants people who agree with him.... to believe it will make them money. It's no coincidence that President Trump's personal pastor is Paula White, queen of the prosperity gospel, who gave the invocation at Trump's inauguration. "Paula White is a charlatan and recognized as a heretic by every orthodox Christian, of whatever tribe," tweeted Russell Moore, orthodox Christian and president of the Ethics & Religious Liberty Commission of the Southern Baptist Convention, in June of 2016. Believe the right things and give to her empire, Paula White preaches, and God will recognize you as holy while material blessings flow to you. On the cover of White's 2009 book "Dare to Dream," the future President wrote "read this, and you'll be ready for great success." One of the greatest practitioners of the Prosperity Gospel hustle, Paula White taught Donald Trump welI, and he is working the con on his supporters, hidden but in plain sight. "In their quest for power, the radical Democrats have turned into an angry mob," Trump said at a rally in Topeka, Kansas, on Saturday. "You saw that today with the screaming and the shouting, not from the 200 people or less -- you know what? Those people, they couldn't fit in the front row." "You don't hand matches to an arsonist, and you don't give power to an angry left-wing mob," he added. "That's what they have become. The Democrats have become too extreme and too dangerous to govern. Republicans believe in the rule of law, not the rule of the mob." Major Senate Republican snowflakes joined in the cry, with former presidential candidate Marco Rubio, Judiciary Committee member Orrin Hatch, Judiciary Committee chairperson Charles Grassley, and Majority Leader Mitch McConnell themselves all decrying "mobs." But (Representative) Greg (Gianforte) is great- and never wrestle him. You understand? Never. Any guy that can do a body-slam- he's my kind of guy. I had heard that he he body-slammed a reporter and he was way up. He was way up and I said "oh, that was the day of the election or two days before- and I said "oh, this is terrible, he is going to lose the election." And I said "wait a minute. I know Montana pretty well and it might help him." And it did. The obvious (and accurate) takeaway is that President Trump is encouraging violent attacks upon the media, particularly revolting after the Saudis evidently murdered a journalist, a legal resident of the USA whom Trump criticized as not "a citizen of this country, for one thing." But... wait. Trump did not deny that Gianforte had committed an illegal act nor justified the behavior. He stated that he believed Montanans would reject a body-slamming congressional candidate. Then, he acknowledged, they did not. It was a subtle- admittedly, very subtle- dig at Montana voters. The guy assaulted someone,Trump believed voters would reject the assailant, but voila! They don't, and he is elected. This obviously isn't the most dangerous aspect of a statement meant to encourage violence, and particularly against reporters, by a man who has consistently condemned the press and encouraged violence. However, it is another example of how master magician Donald Trump criticizes or ridicules a group- Christian evangelicals and military veterans, most notably- who proceed to give him their undying support. "My New Order" did not go unread. The Washington Post's Kristian Coates Ulrichsen starts strong with "The unexplained disappearance and presumed killing of Jamal Khashoggi brings attention to the security crackdown in Saudi Arabia since Mohammed bin Salman (“MBS”) became crown prince in June 2017. " But then she refers to "The ruling circle around MBS" and the "roundup of dozens of influential business executives and ruling-family members by MBS." She notes "Khashoggi’s presence in Washington represented a credible counter to the image presented by MBS." However, "The entourage around the prince invested heavily in burnishing MBS’s credentials with the Trump White House as it took office"
We learn about both "the war in Yemen and the blockade of Qatar, both associated closely with MBS," as well as "the time of mounting questioning of MBS’s approach to domestic and international policymaking." Ulrichsen speaks of the slow "buildup of opposition to MBS’s many other mistimed ventures" and "the pressure on Saudi Arabia and MBS, in particular." Further, "the White House’s closeness to MBS has been controversial as the crown prince has made one mistake after another and has delivered little result" while "King Salman bin Abdul Aziz overrode MBS," sympathetic to the Israeli cause. That would be eight(8) references to "MBS." Distressingly, however, Ulrichsen is not alone. David Ignatius' piece in The Washington Post entitled "MBS's rampaging anger will not silencequestions about Jamal Khashoggi" included one reference to "Mohammed bin Salman" and 15 to "MBS." There are two reference to "Mohammed bin Salman" and nine(9)-beyond the headline- to "MBS" in the Columbia Journalism Review's "Reexamining coverage of MBS after Khashoggi's disappearance." Continually referring to the Crown Prince of Saudi Arabia as "MBS" can soften his image and turn him into an appealing fellow. The most popular set of initials in the USA is arguably "LBJ," usaually a reference not to the 36th President but to inarguably the greatest player in the NBA, arguably the best player of his generation, and probably one of the three greatest hoopsters ever. LeBron James is referred to as "LBJ" because he is, well, LeBron James. He neither ordered, nor acquiesced in, the murder of a Saudi journalist and legal resident of the United States. He does not preside over an Islamist dictatorship, nor has he unleashed a powerful bombing campaign slaughtering Yemeni civilians (video from 4/18). Allowing LeBron James to become"LBJ" has done little damage other than possibly skewing results of the tired talk-radio question "who was better- LeBron James or Michael Jordan? (the correct answer: "Wilt Chamberlain"). But reshaping the image of a mass murderer by changing Mohammed bin Salman into MBS may do so. Trump stunned his own foreign policy team— including then-Secretary of State Rex Tillerson and Defense Secretary James Mattis — when he tweeted that Qatar is a sponsor of terrorism and seemingly endorsed an economic and political blockage of the tiny, oil-rich nation organized and led by two powerful neighbors, Saudi Arabia and the United Arab Emirates, or UAE. A few months later, people who suspect the worst about Trump and his minions learned a possible motive that was almost too cynical to comprehend. Not long before Team Trump switched gears on Qatar, key officials from the emirate had met with Charles Kushner — father of Trump's son-in-law and senior adviser, Jared, who's in charge of Trump's Middle East portfolio — to discuss a massive Qatar-funded bailout of 666 Fifth Ave., the debt-laden Manhattan skyscraper that was threatening to sink the Kushner family real estate empire. But the Qataris rejected the deal — just weeks before the policy about-face. Whatever actually happened, the appearance was simply awful. It also seems not to have been the full story. This weekend, the New York Times published a stunning report about a plan floated by a longtime emissary for the Saudis and the UAE in early August 2016, when Trump had just grabbed the GOP nomination but faced an uphill campaign against Hillary Clinton. Donald Trump Jr., aide Stephen Miller and Erik Prince, founder of the notorious mercenary outfit once know as Blackwater, listened intently as the emissary offered Team Trump millions of dollars in assistance, including a covert social-media campaign, to help Trump win that would be run by a former Israeli spy who specializes in psychological warfare, or psywar. Well, o.k. However, in the interview conducted on Thursday (broadcast on Sunday) by CBS' Lesley Stahl, the President was asked why he says he "fell in love" with Kim Jong-un, Trump replied. "Sure. I know all these things. I mean- I'm not a baby." Asked what his "biggest surprise" has been as president, Trump responded. "Okay. So I always used to say the toughest people are Manhattan real estate guys and blah, blah. Now I say they're babies." To a follow-up question, he remarked "They're babies, the political people. "Asked whether like his wife he distrusts some people in the White House, Trump replied "I think I'm guarded anyway. But I'm not saying I trust everybody in the White House. I'm not a baby. It's a tough business." I'm not a baby... Now i say they're babies.... They're babies, the political people.... I'm not a baby. If Donald J. Trump is not a baby, he is something very close. Though holding few if any cards in any confrontation, Riyadh threatened to retaliate against the USA if it responds to Khashoggi's murder. The President, going beyond the Kingdom's suggestion that it may have been a kidnapping attempt that got out of hand, then suggested the possibility of "rogue killers." A bully, Trump is a guy who is easily rolled. And that makes it difficult, despite the considerable evidence that Donald Trump is selling out to the Saudis for his family's financial gain, to discount an additional motivation. He is a baby who is letting pipsqueaks threaten the USA. This is not only an extremely greedy individual, but one who asserted "you're fired" enough that it was long before the realization sank in that the baby himself very easily intimidated.